Make your way through the 9 interactive galleries of the Titanic Experience, explore the symbolism of this iconic building with the Discovery Tour. 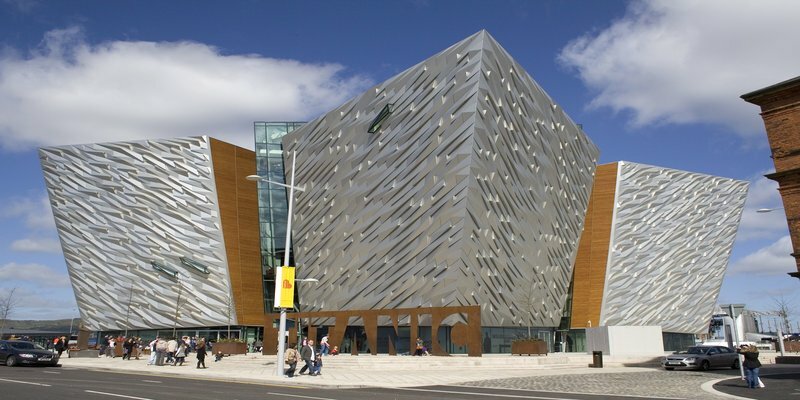 Walk the decks of the last remaining White Star vessel SS Nomadic or immerse yourself in the historic slipways as you uncover the true legend of Titanic, in the city where it all began. 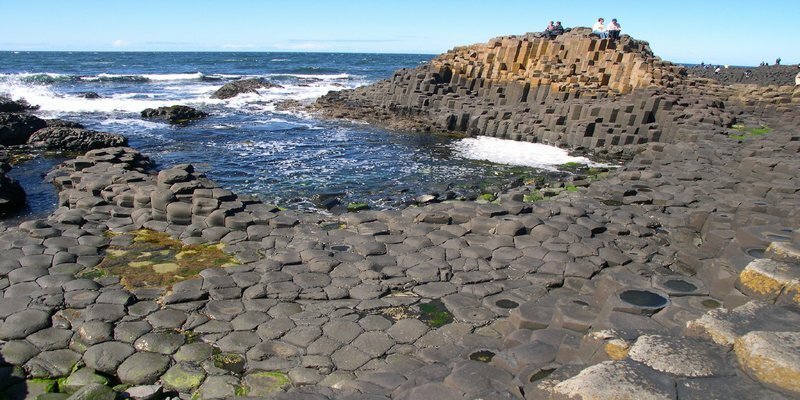 Come to one of Ireland’s biggest landmarks The Giant’s Causeway. Located in County Antrim on the north coast of Northern Ireland, about three miles northeast of Bushmills village. Here you will read all about Irish mythology and its legends. In the small village of Bushmills, settled on the banks of the river you’ll find the oldest working distillery in Ireland. A place where family and friends have worked for generations is a small Northern Irish village. Here for over 400 years it has kept to its own philosophy. By hand crafting small batches is the way to produce beautifully smooth tasting Irish whiskey. 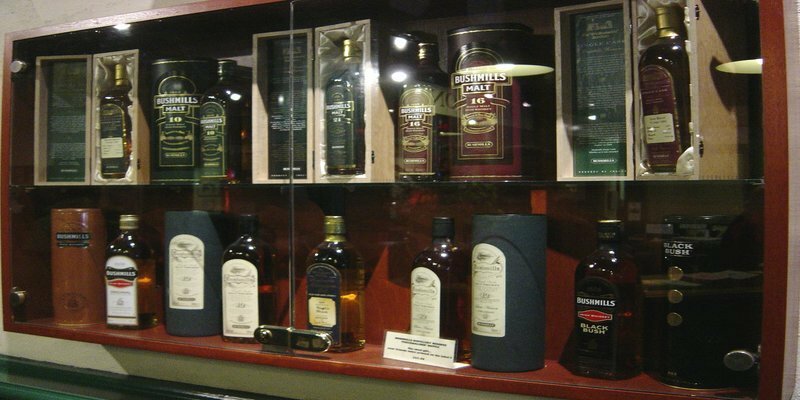 Experience a guided tour around the distillery and listen to how this famous Irish Whiskey is made from the very beginning to the bottling stage. There’s also the opportunity to purchase some of its products. The site now occupied by Belfast City Hall was once the home of the White Linen Hall. This was an important international Linen Exchange. The street that runs from the back door of Belfast City Hall through the middle of the linen quarter is Linen Hall Street. Construction of the building started in 1898 and was completed in 1906. There are 15 amazing rooms to look through on this tour with amazing history for you to read and take in. 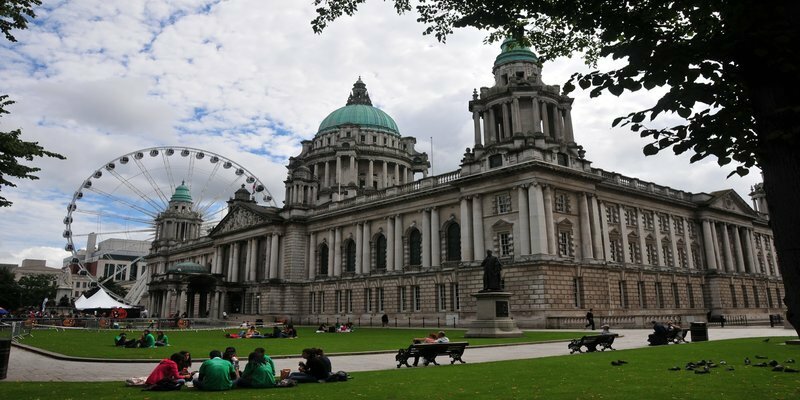 The people of the city and its visitors are welcomed to sit on the lawns and watch Belfast City at work. 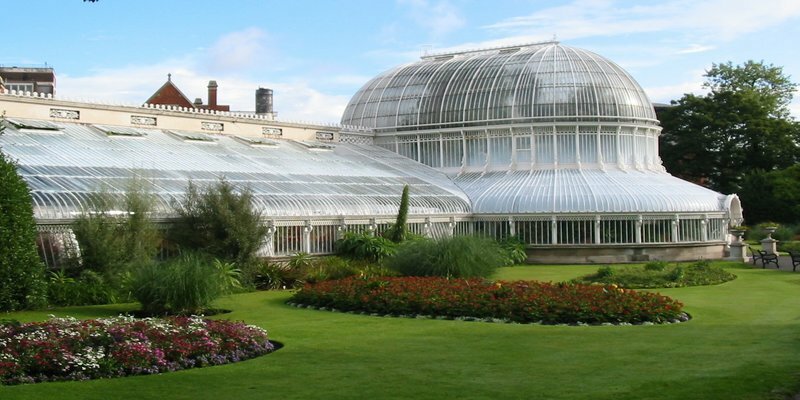 The gardens opened in 1828 as the private Royal Belfast Botanical Gardens. Continued as a private park for many years, only opening to members of the public on Sundays prior to 1895. It then became a public park in 1895 when the Belfast Corporation bought the gardens from the Belfast Botanical and Horticultural Society. The gardens are now owned by Belfast City Council. It has two main exhibits the Palm House and the Tropical Ravine House. Here you will find many species of flower and trees from around the world. Concerts have been performed in the gardens notably U2 who played here in 1997 their first concert in Belfast since 1987. You could spend hours browsing this state-of-the-art museum, but if you’re pressed for time don’t miss the Armada Room. The museum is filled with artefacts retrieved from the 1588 wreck of the Spanish galleon Giron. It also holds the Egyptian Room, with Takabuti, a 2500-year-old Egyptian mummy unwrapped in Belfast in 1835. 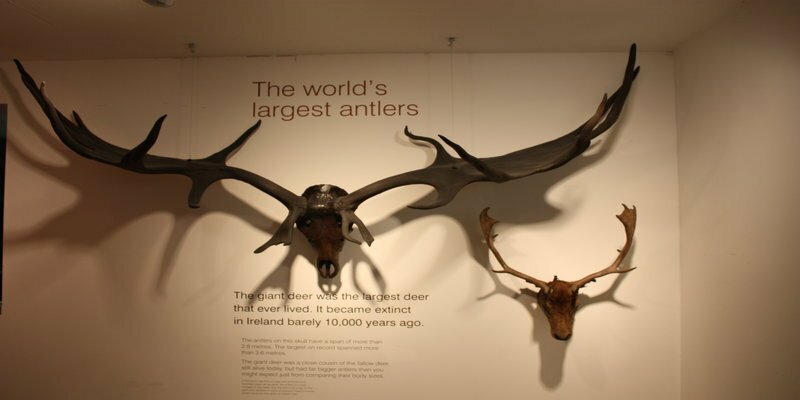 Everyone is interested in history and a visit to this museum will give you an idea of what life was like in each ancient world. This Prison was partly based on another prison in London, it was one of the most advanced prisons of it’s day. The prison was designed to hold between 500 to 550, one prisoner per cell but in the early 1970s that rose to 3 prisoners per cell. 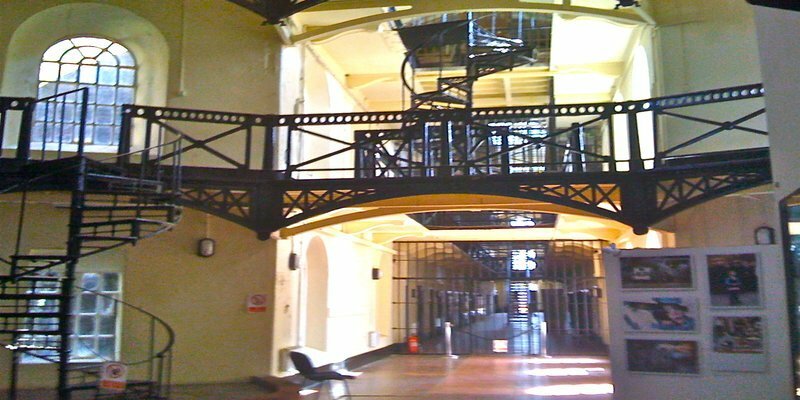 During its 150 year history the prison has had many prisoners pass through its doors. Some of the more well known prisoners included Eamon De Valera, Martin McGuinness, Michael Stone and Bobby Sands. The prison closed its doors in 1996 and was left empty for many years. In 2012 the prison reopened as a tourist attraction and recreates the history this prison once held. This castle was built by the Normans. Owned by the Scots, Irish, English, French and remains as one of the best preserved medieval castles in Northern Ireland. 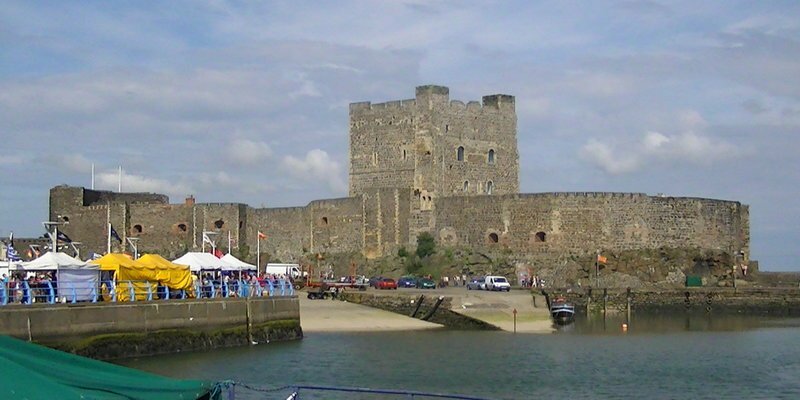 Built by John de Courcy in 1177 as his headquarters, after he conquered eastern Ulster in 1177 and ruled as a petty king until 1204. He was ousted by another Norman adventurer, Hugh de Lacy. It has had many uses over the years, first to house prisoners of war then became a prison. For a hundred years it served as an armoury. During WW1 it was a garrison and ordnance store then during WW11 it became an air raid shelter. The Ulster folk and transport Museum is situated about 11 kilometres east of the city. It comprises of two separate museums, the Folk Museum and the Transport Museum. 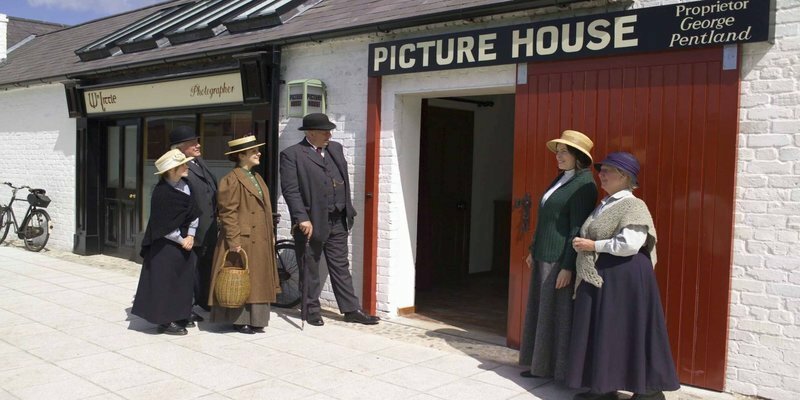 The Folk Museum endeavours to illustrate the way of life and traditions of the people in Northern Ireland, past and present. While the Transport Museum explores and exhibits methods of transport by land, sea and air, past and present. In 1958, the Folk Museum was created to preserve a rural way of life in danger of disappearing in Northern Ireland. The present site was acquired in 1961. With the museum opening to the public for the first time three years later in 1964. In 1967, the Folk Museum merged with the Belfast Transport Museum, to form the Ulster Folk and Transport Museum. Stormont Castle is a mansion on the Stormont Estate. It is used as the main meeting place of the Northern Ireland Executive it’s not classed as a castle in real terms. Between 1921 and 1972, it served as the official residence of the Prime Minister of Northern Ireland. 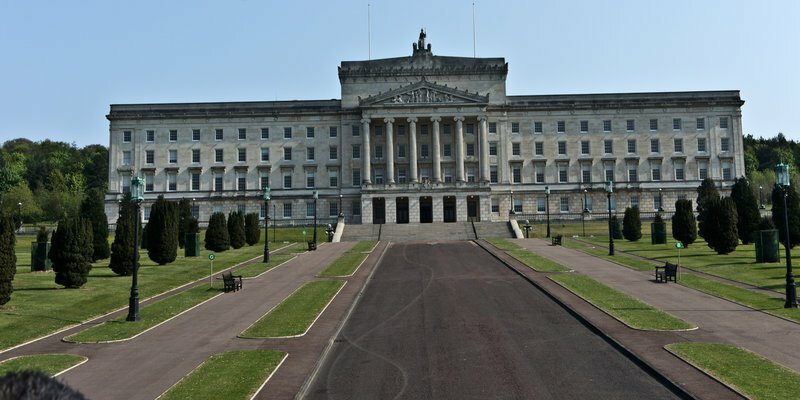 It also served as the location of the Cabinet Room of the Government of Northern Ireland from 1921 to 1972. Before devolution it served as the Belfast headquarters of the Secretary of State for Northern Ireland, during the Troubles. It has been an incredible season for our groups touring to Ireland and Europe. The experiences they have experienced and enjoyed are always the best memories from touring. My own sides that I have coached even now a decade afterwards always chat about the tours and remember the fun and enjoyment of it. The tour of course starts with the fun raising which is always prepared in advance to get the ball rolling, from car washing to pub quizzes. Once you have the momentum everything just falls into place and then you are nearly there. Our groups have been far and near this season, travelling to New Zealand, United States of America, South Africa, Italy, Britain and of course here at home in Ireland. 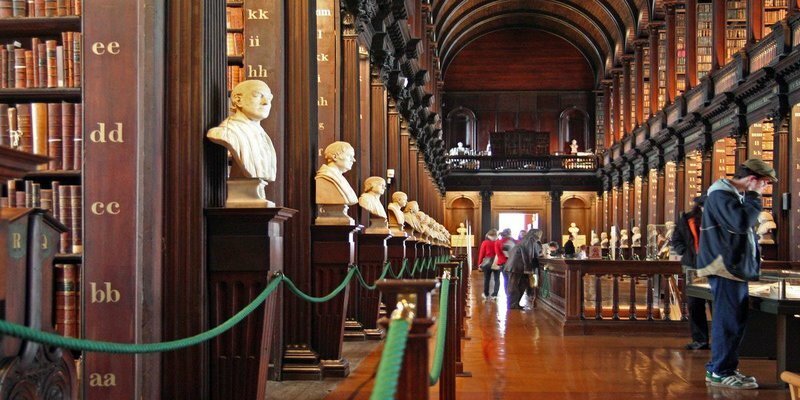 The groups enjoyed plenty of sightseeing in Dublin such as Dublin Castle, Guinness Storehouse, Jameson Whiskey, Aviva Stadium, the Book of Kells and the Old Library at Trinity College. Galway is always on the to do list with groups, especially Bill O’Brien’s ferry crossing in Doolin for the Arran Islands and then onto the Cliffs of Moher to see them from the water before heading back to shore then making your way to the cliffs and just take in the amazing views from the cliff’s top. On the island you can enjoy a ramble on foot or if your lazy like me a horse and trap will take you around escorted by one of the locals. For those of you who are young and fit, there’s the bike tour definitely one way of getting around the island and at your own pace. Limerick, a hotbed of Irish Rugby and home to Munster Rugby. 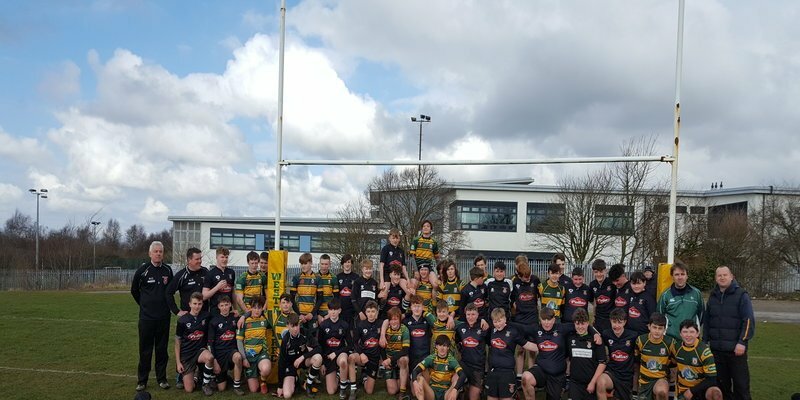 In Limerick groups have the opportunity to be coached by Munster coaches at the University of Limerick rugby pitches, and we know that this is highly loved by our visiting coaches. 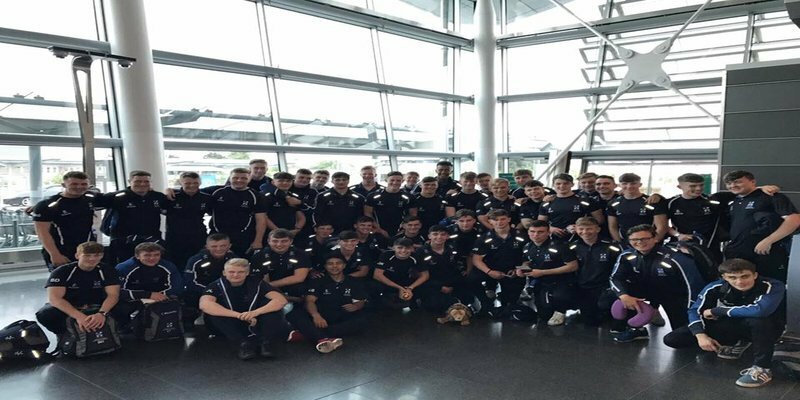 After training there’s the opportunity to visit Thomond Park, home of Munster Rugby where they see what goes on behind the scenes and of course the museum afterwards. Limerick offers a great night life to our older groups with the bars and clubs on offer. 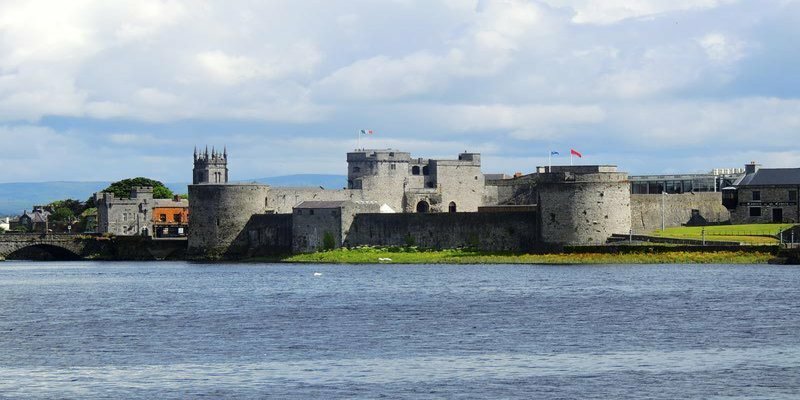 King Johns Castle stands out as a major draw factor as groups want to hear and see the history of Limerick and what the English brought to Ireland. People from Cork claim the city as the real capital of Ireland and really are always inviting visitors to stand and talk to them about their visit to the city. Jameson Distillery in Midleton is always asked for and our guests always enjoy the tour around the old distillery. Training sessions are always looked forward to as our good friend former Munster, Ireland and British Lions Legend David Corkery as they know they are getting the best tuition from one of the best. 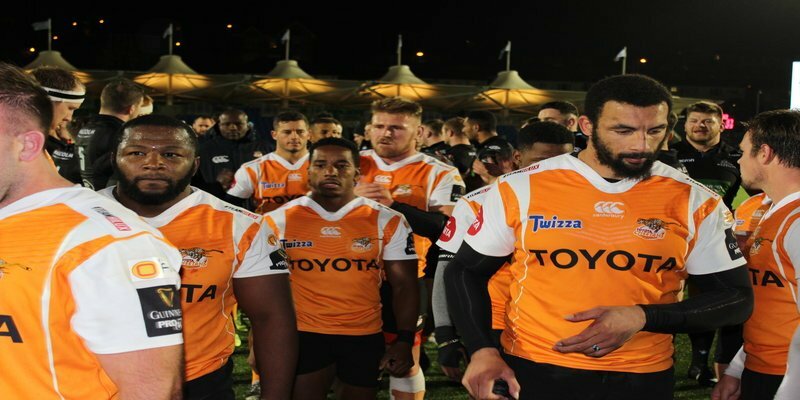 Several American sides ventured to Italy this year wanting a different tour. Rome, Florence, Milan, Parma and Venice were all visited this season visiting such places as the Colosseum, DuomoMilano which is Milan Cathedral, the Accademia Gallery where Michelangelo’s David is showcased, the Venice Canal and in Parma where everyone was looking forward to the famous Parma Ham barbecue and everyone got to feed from the pig on the spit, what a sight that is. The Rugby was tough and local club teams do love their rugby and take it all very seriously, but I must say the hospitality that you receive afterwards is second to none just outstanding. New Zealand was a faraway adventure for one group from Ireland and what an adventure that was for them. 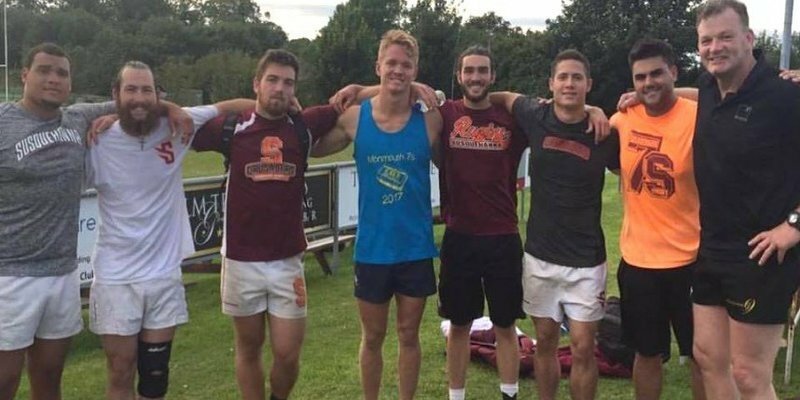 Three weeks of rugby with some extensive training sessions All Blacks style with fixtures, sightseeing and activities such as white water rafting and visiting Maori Cultural sites to learn what it means to be Maori. Because of that experience we have had another couple of groups take the plunge and are now looking forward to experiencing the same adventure. America, everyone wants to go to America. This was the case for another group from Ireland who spent 11 days in New York and Boston. From the Empire State Building, dining at Planet Hollywood sitting down at the steps in Time Square to watching the Boston Red Sox play baseball, BostonUniversity and yes, a Duck Tour through the streets of Boston and along the Hudson River what more could you ask for, the rugby wasn’t bad either. Britain will always remain a favourite with Irish clubs, our closest neighbour is always at the top of the list when it comes to touring. Across the sea by ferry in a matter of hours and you are there. Wales provides Swansea and Cardiff as the most popular destinations for our groups, while Manchester and Liverpool in England. The rugby is very competitive as you can imagine with all the top colt sides jostling for top position but as I know from touring with the Irish sides our teams do very well. At the top end of the table our groups from the professional level have always had us busy from the Pro14, Champions Cup, The Challenge Cup and the Six Nations a mixed bag of results, but that’s rugby. 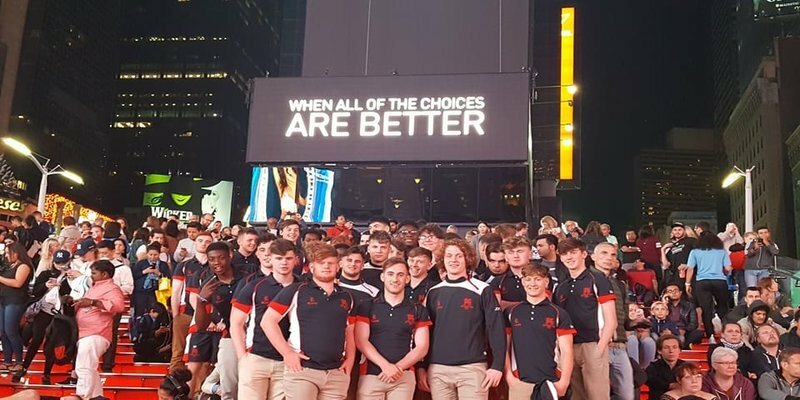 So, by now you must be thinking to yourself have to go on tour, have to do it, so just go to our website follow the link provided http://www.irishrugbytours.com choose your country and destination it’s that simple, see you soon and soon enough you too will be on your way to experience what thousands of others have done before you.